You will be so impressed when your Faber-Castell pen arrives. 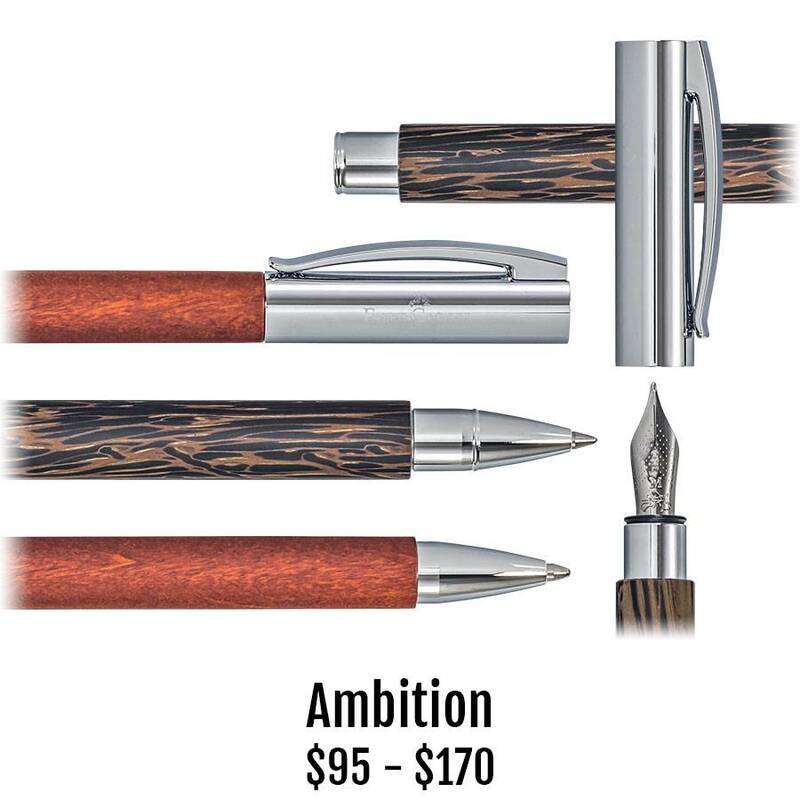 The fit and finish is unmatched in fine writing instruments; at any price. These unique Ambition fountain pens, rollerballs and ballpoints are no exception. Select from either dark coconut wood or reddish-brown pear wood for the barrel. Caps and tips on both are highly polished chromed metal with Faber-Castell's spring-loaded clips.